Arcadia Yachts has announced the sale of its first 31.06 metre Arcadia 100+ yacht, which was designed with Milan-based studio Hot Lab. 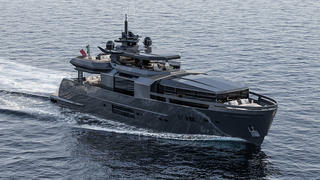 This marks Arcadia's second order in two months, after the Italian yard sold an Arcadia 85 to a British client in July. First revealed back in May at the Montenapoleone Yacht Club 2017, this new version of the Arcadia 100 was also sold to a British client and will make its debut at the 2018 Cannes Yachting Festival. 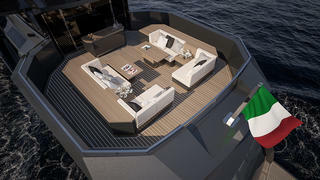 Key modifications from Aria S, the first Arcadia 100, include a larger superyacht sundeck and a redesigned foredeck area, while retaining unique features like the fold-out superyacht terraces and solar panels built into the glazing. Moving inside, Hot Lab has created five different layouts to suit a wide variety of clients. 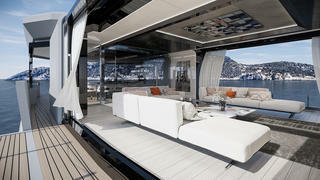 The exact layouts are yet to be disclosed, with the yard due to make a further announcement at next month's Cannes show. 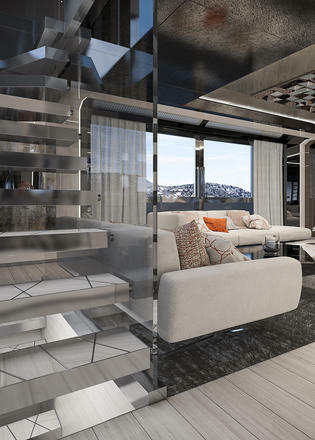 However, the studio added that the interior décor of the Arcadia 100+ will balance contemporary design and neo-ornamentalism with its use of exotic, rarely used materials like Carbalho wood and resin panelling. Other superyacht projects currently under development at the Italian yard include the fifth hull in the Arcadia 115 series, which is due to launch before the end of the year.